This new edition follows Q&A format that has made the series so popular for its practical, clinical approach. 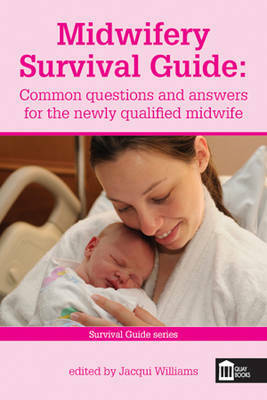 It will serve as a quick referral guide for newly qualified midwives and be an aide memoire in practice settings. The design will enable readers to easily access the information in a format which is easy to read. It presents current guidelines and best evidence. Final year student midwives have a plethora of activities and assessments to be able to complete their diploma/degree courses and qualify as midwives. Following the commencement of their first employment they have to meet various Trust requirements and complete a number of key activities to orientate to their new role. This is an intensive time of study and adjustment to new roles so a text which could support these processes will be invaluable. This book could also be used by Senior Student Midwives to prepare them for qualifying as midwives and be insightful of what will be expected to achieve during their first year of registration.